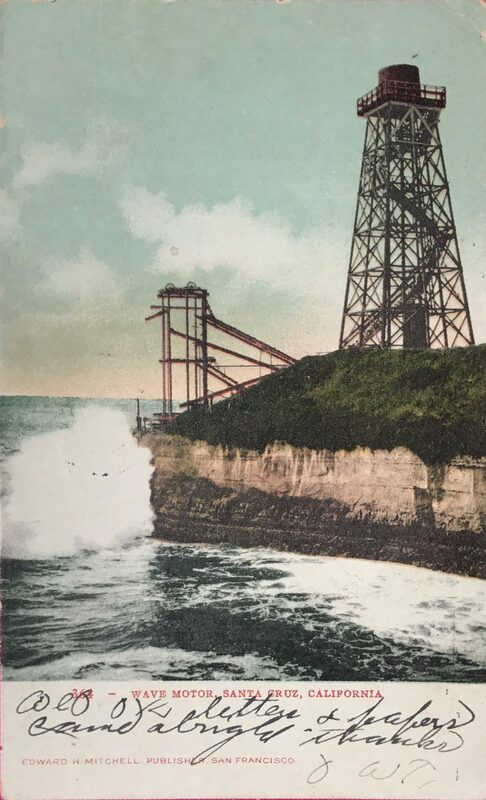 The Santa Cruz wave motor was a wave powered pump along Westcliff Drive. The motor was used to pump up and store sea water, which in turn was used to keep down dust on Santa Cruz’s unpaved roads. Ironically , understanding the wave motor was the easy part of this card. The handwriting was another story all together! Check out the capital “M”s on the back though, they almost make up for the quickly scribbled handwriting on the front.